The stock moved higher by 7% to Rs 219 on Monday, extending its Friday's 13% surge on the BSE in an otherwise weak market. Shares of Eveready Industries India rose 7 per cent to Rs 219 apiece, bouncing back 8 per cent from their early morning low on the BSE on Monday amid reports that BM Khaitan - led Williamson Magor has rolled out sale plan for flagship company, a leader in dry cell batteries and flashlights. The stock ended 13 per cent higher to Rs 205 on Friday. In comparison, the S&P BSE Sensex was trading 0.74 per cent lower at 35,742 points at 12:32 pm. Eveready Industries, however, did not confirm or deny the said media report. “The Company has always been updating the Exchanges regularly with all the events, information, etc. 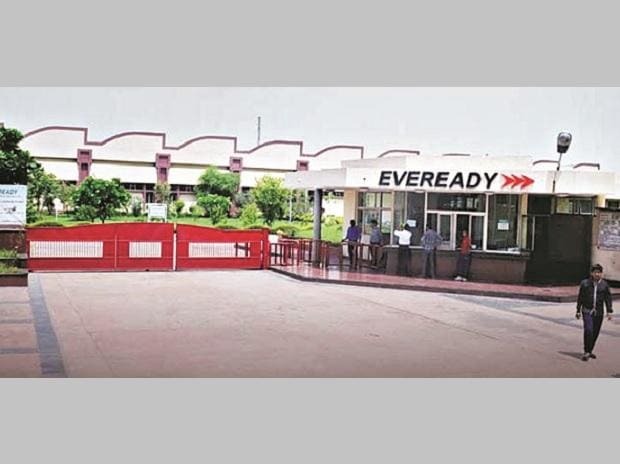 are required to be intimated under Regulations 30 of SEBI (LODR) Regulations, 2015 concerning the Company as may be reasonably required,” Eveready Industries said on clarification on news report on Saturday, January 12, 2019. As and when applicable, appropriate disclosures which are required to be made pursuant to the SEBI (LODR) Regulations, the same shall be made by the company, it added. According to a media report, Eveready Industries’ promoter, which owns 45% in the company, is said to have mandated Kotak Mahindra Bank for the potential sale, which could attract the interest of foreign and domestic strategic acquirers as well as private equity buyout specialist. Eveready Industries was one of the most underperforming stocks during the calendar year 2018, fallen 57 per cent, as compared to the 6 per cent rise in the S&P BSE Sensex. It touched a 52-week high of Rs 465 on January 17, 2018, and a 52-week low of Rs 176 on October 31, 2018, in intra-day trade. At 12:45 pm; Eveready Industries was up 5 per cent higher at Rs 216 against 0.72 per cent decline in the benchmark index. The trading volumes on the counter jumped nearly five-fold with a combined 1.55 million equity shares changed hands on the BSE and NSE so far. The stock of Williamson Magor & Company too surged 19 per cent to Rs 76 today, zooming 43 per cent in past two trading days.